No trip to Barcelona would be complete without a taste of Spain’s most famous dish: paella. This delectable combination of rice, fish, meat and vegetables is a favorite among locals as well as tourists visiting the Catalan capital, and can be found in most restaurants across the city, especially those situated near the beautiful beaches of Barcelona. 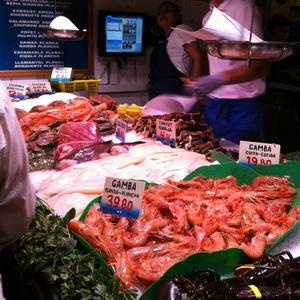 What’s more, due to its location right on the Mediterranean coast, Barcelona has access to a wide selection of fresh seafood, making the paella dishes here even more authentic and flavorsome! 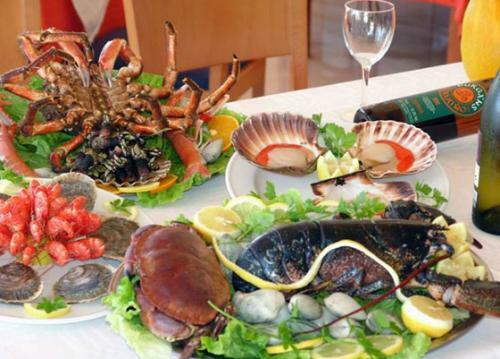 Els Pescadors is one of TripAdvisor’s Traveler’s Choice Awards 2012 winners in Barcelona, and this restaurant is as authentic as they come. Specializing in Catalan dishes and seafood in particular, everything you will find here is absolutely delicious. Enjoy the odd tipple? This restaurant has over 150 wines and Cavas on their menu to choose from! As for food, we suggest you try the fisherman’s rice (paella) or something from the Menu of the Day, which varies depending on the products the team at Els Pescadors have been able to buy from the market that morning. To top it all off, the setting for your meal will be a lovely terrace in a quaint square, giving you a genuine Mediterranean dining experience, especially during summertime. 7 Portes was established in 1836 and is one of Barcelona’s oldest standing restaurants. It even served the likes of Picasso, back when he was a resident in the city! 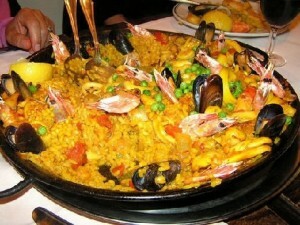 To this day the ‘7 Doors’ eatery continues to provide some of Barcelona’s best paella and seafood dishes. Although everything on the menu will be sure to satisfy your seafood craving, the paella at this place is rumored to be the tastiest in all of Barcelona. With the kitchen open from 1pm to 1am without interruption, this classic restaurant is a must-visit if you’re looking to enjoy a piece of Barcelona’s rich history and some delightful food. 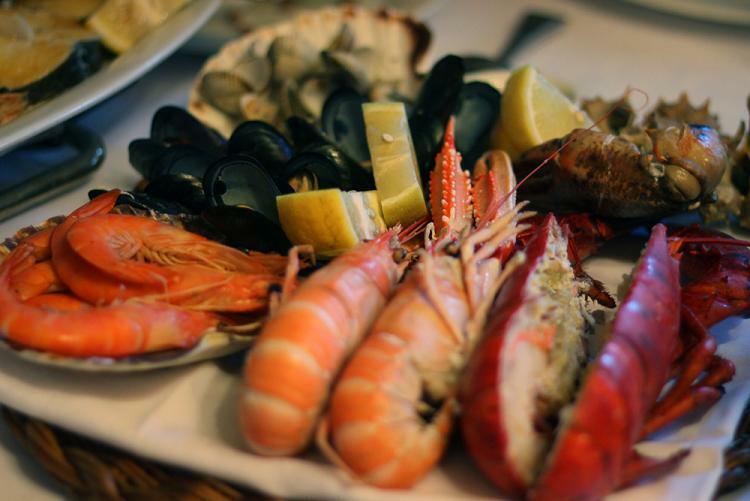 Kick off a sophisticated night on the town with some amazing seafood at Rías de Galicia in the Poble Sec neighborhood, near Montjuïc. This restaurant has been offering a unique Galician take on traditional Spanish dishes since 1986…and everything is absolutely delicious. We recommend the delectable crab risotto, the sea cucumber with candied potatoes or, if you’re feeling adventurous, the sashimi of scallops and sea urchin. La Paradeta is a chain with several locations across the city, and each restaurant aims to serve up mouth-watering seafood dishes in a unique and informal dining setting. This joint is self-service and specializes in fish, so be prepared to walk up to the bar as if you’re ordering at the market. Once you’ve chosen what you’d like, they weigh it out, wrap it up, and send it to be cooked just the way you want it. 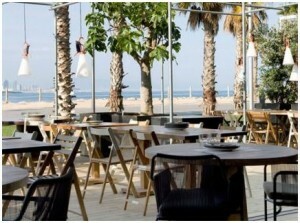 This hands-on restaurant is great for groups of friends visiting Barcelona and perfect for an entertaining family meal. We recommend stopping by the original location in the Sants neighborhood, which was first opened in 1994 under the name ‘Shellfish’. This ‘chiringuito’ in Barcelona (a restaurant/bar situated right on the beach) is a pretty new spot in town but has already made a name for itself in the city. Providing delightful food alongside some spectacular Mediterranean views, Restaurante Pez Vela is ideal for those looking for a simple but delicious menu. With many different types of paella to choose from, this restaurant is a great place to share dishes with your party and discover which Spanish taste sensation you like best. We recommend getting here somewhat early, around 8 or 9pm, to guarantee you get a table with the best view of the sunset. 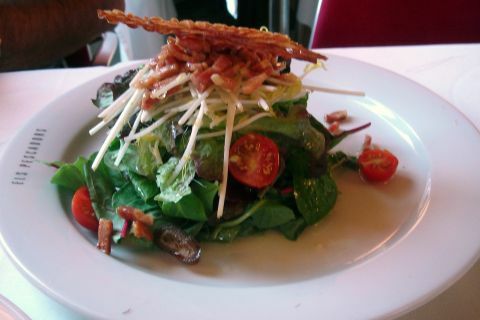 This entry was posted in Bars & Nightlife, Restaurants & Food and tagged Barcelona culture, Barcelona food, barcelona food and drink, barcelona nightlife, barcelona tourist guide, barcelona traditions, barceloneta beach, Restaurants in Barcelona, seafood restaurants barcelona, spanish food, summer in barcelona. Bookmark the permalink.